Join podcast host Ari Shapiro as he takes a moment to reflect on the season that was for center fielder Kevin Pillar and what fans should expect in the days ahead. Featuring article and social media quotes from: Hayden Godfrey, Clayton Richer, and Chris Henderson of Jays Journal. 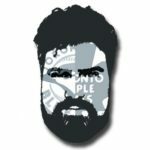 Be sure to tune in regularly for new player reviews from the year that was, and check out the latest work from the writing crew over at Jays Journal. Subscribe to arishapiro.ca today and receive the latest daily reviews straight to your e-mail inbox and on-demand with your phone.